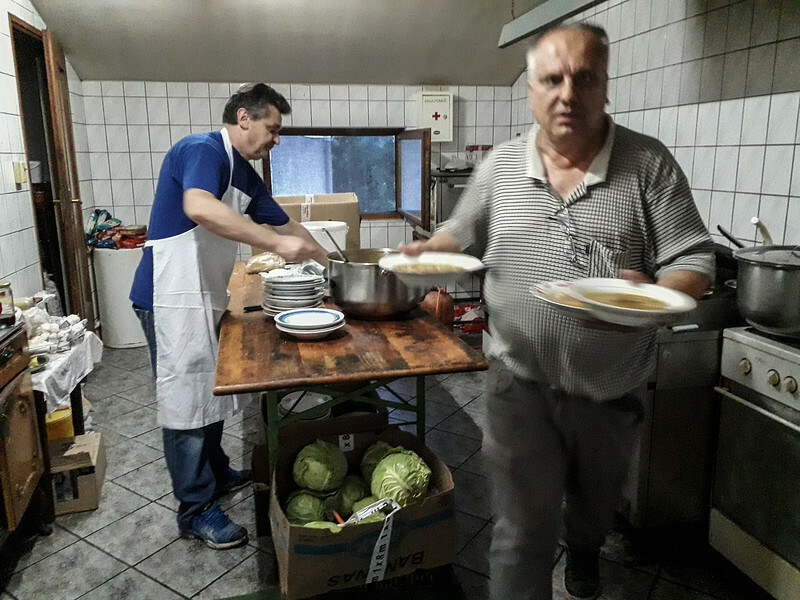 The owner of Kod Latana restaurant, brining some food to the refugees from the kitchen. On the back the cooker of the restaurant. Both of them are part of the local team for solidarity with migrants "SOS Ljuta Krajina"